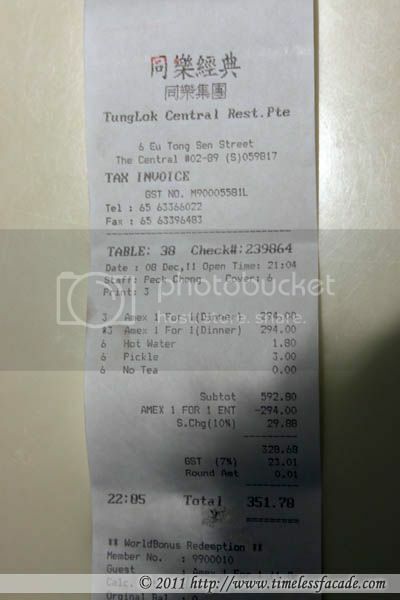 Enticed by the AMEX 1 for 1 set menu at Tung Lok and the prospect of catching up, a couple of us met up for dinner at The Central's Signatures (TLS for short) outlet for dinner one evening. 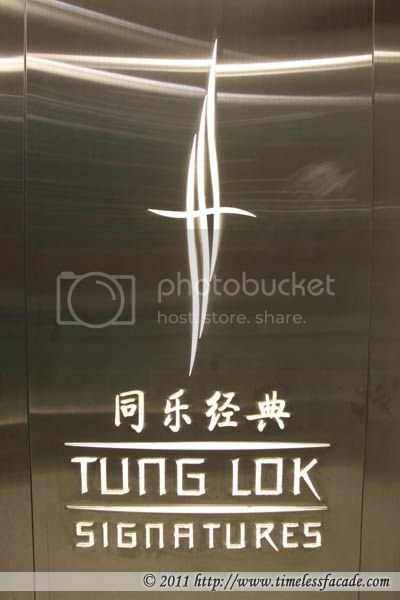 I've actually never been a fan of Tung Lok as I've yet to experience really good food at any of their outlets, including their much touted Humble House. 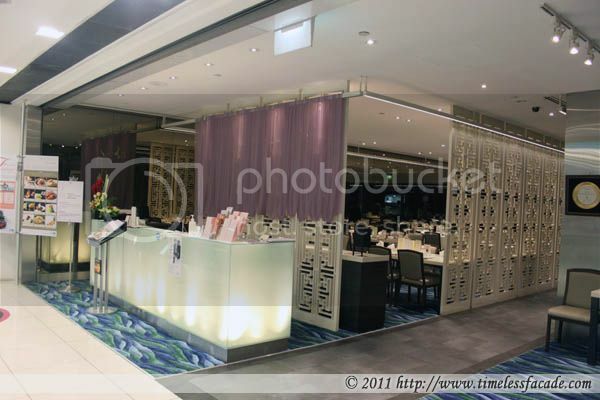 Located on the 2nd floor of The Central and immaculately done up to exude an air of oriental poshness, Tung Lok Signatures stands out from the crowd of eateries that crowd the area. Tables are spaced at a relatively comfortable distance and full length windows allow a great view of Clarke Quay and the Singapore river. Gimmicky flames aside (due to the lighting of wax at the side of the bowl), I thought that the broth was excellent - flavourful yet light on the palate. Fin portions were reasonably substantial with bits of chicken to balance out the texture. 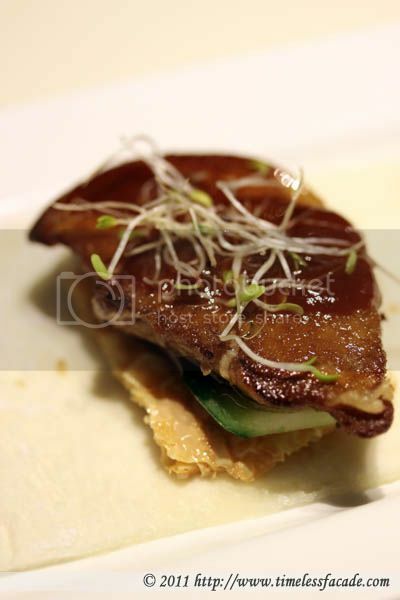 Playing on the concept of Peking Duck, TLS's take on the pan fried foie gras involved serving the foie gras (with a layer of peking duck sauce on top) together with a crackling piece of beancurd skin and wrapped over using a rectangular piece of thick crepe. I honestly thought that it was an interesting concept but I did find the foie gras way too gamy for my liking. And that honestly killed this dish for me. 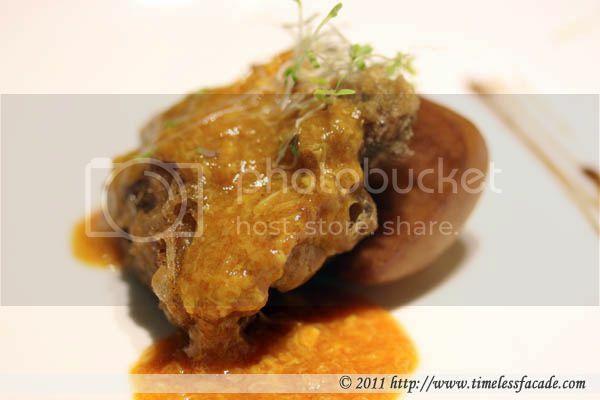 The soon hock was fresh but a little lacking in natural sweetness. One other gripe too. Being the belly, it had tons of bones which made it a pain to consume. This dish seemed promisingly at the onset but didn't quite dazzle. 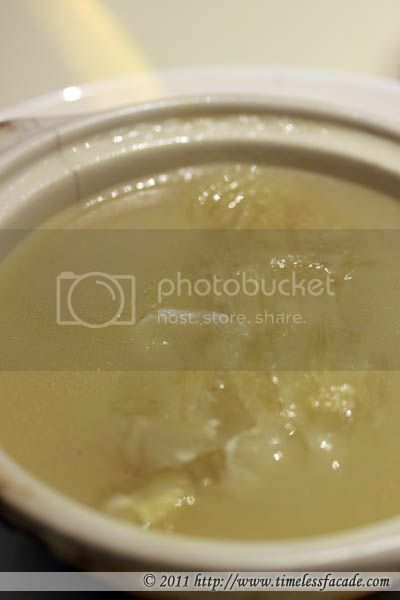 The pork cartilage was coated with flour, deep fried and drenched in chilli sauce that was similar to chilli crab gravy, just a lot less spicy. The meat was tender but somehow I couldn't get past my psychological barrier to stomach the gelatinous cartilage. I liked the deep fried bun though. 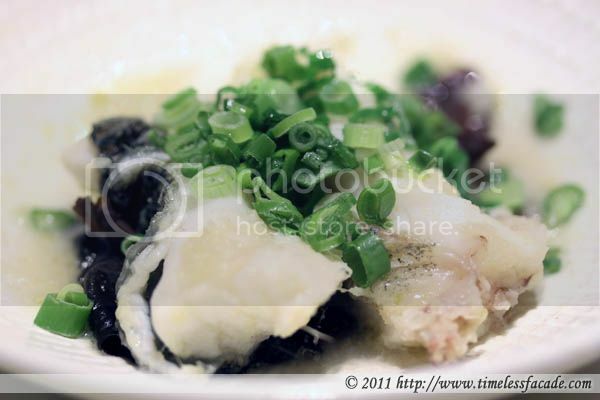 Alongside the shark's fin soup, this was probably the best dish of the evening. 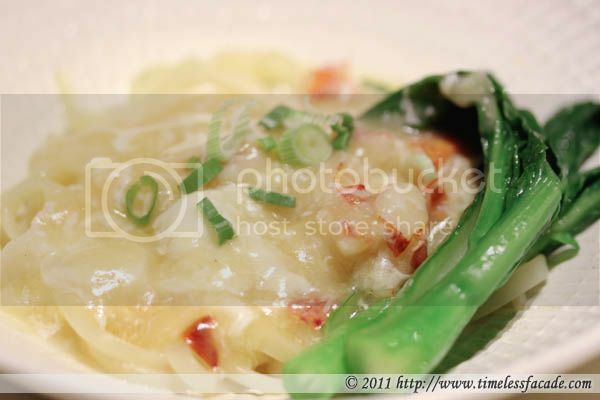 Springy and robust noodles with minimal portions of lobster meat and a nice, savoury gravy. And of course, the obligatory 2 stalks of vegetables. I was hoping for a sweet ending to my meal. But what I got was a cold, bitter dessert, which pretty much sums up how we felt at the end of the meal. 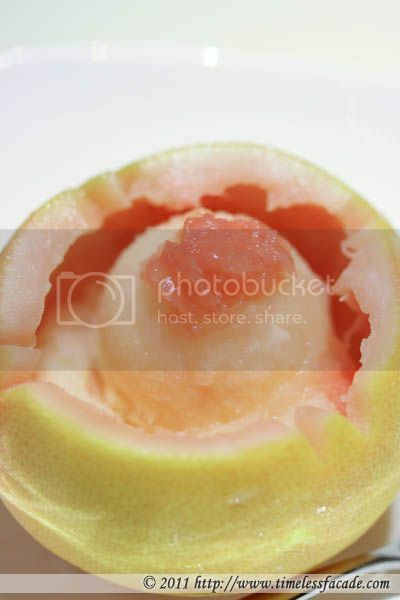 But to be fair to the grapefruit, I'm just not a fan. With the AMEX 1 for 1 promotion, 6 of us clocked in at almost $352 for dinner. Service was good but food left much to be desired. Even with the promotion, I'm not sure I would want to fork out almost $60 a head for food of such quality and portions. And with this meal, I have officially closed the chapter on Tung Lok, never to return. Couldn't agree with you more! The pricing is exorbitant versus the quality of the food.